Leah has spent her entire life in the Twin Cities, taking every possible opportunity to travel around the World. Leah earned her Bachelor of Arts degree from Bethel University in St. Paul in Marketing and International Business. One of her trips during college proved to be life changing, allowing her to travel Europe and meet her husband Dan, whom she married in 2007. In 2013, they sold their first home and moved to Minnetonka with their two daughters, Adilyn and Claire and are excited for their family to continue to grow. 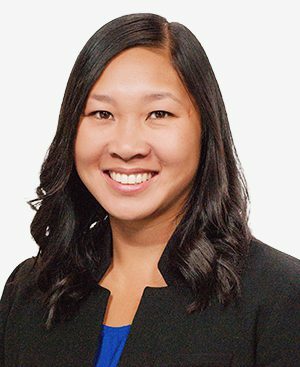 Prior to pursuing one of her passions and joining the Real Estate world, Leah worked in corporate America for eight years holding various roles with increasing responsibilities. As one with extreme attention to detail, and a love of meeting and learning new people’s stories, Leah is excited to put her experiences and passion together to best serve you. She joined the Kerby & Cristina team in 2014. My dream job would be... Doing this! I'd also love to do some hybrid form of Life Coaching as I love all things organization, goal setting, and event planning!